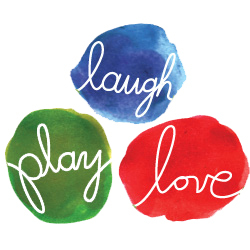 Registration for my NEW e-course, Laugh Play Love, is NOW open. Join us and invite more laughter, playfulness and love into your daily life. And not to worry – the course will be up for the next 3 months, so you will have PLENTY of time to dive in at your own pace. Enroll for Laugh Play Love by visiting HERE.